Hello and welcome to the unofficial Ledbury Website. 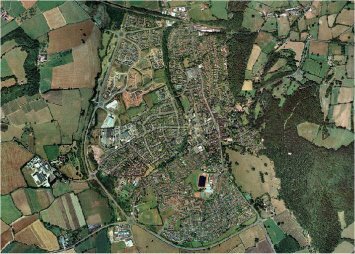 This site is probably the first big Ledbury site on the Internet (gone through a various amount of web addresses!). I probably lasted longer than other websites. Update : 10 August 2011 : I should update this page! Been concentrated on other parts of the website and I forgot to update this section. When I get a moment, I will do something about it! 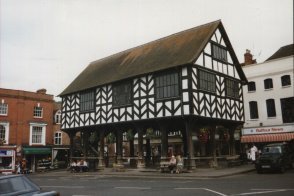 There weren't much about Ledbury, Herefordshire, UK on the Internet when this website first began in 1996, so I decided to put Ledbury on the map. 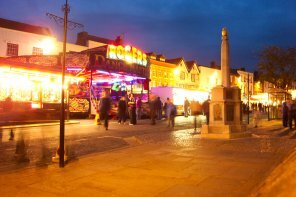 Now, there are over 130 pages full of information and photos about Ledbury, from events such as the Ledbury Carnival, Ledbury Fair, Ledbury Poetry Festival Party, Ledbury English Festival, and many other. Regular visitors will notice that this section has completely redone. I hope you all like it. Also new to this site pictures of the Ledbury Fair 2003, Queen Visit to Ledbury. Now the 2010 Ledbury Carnival are now available. Other counties in the UK are available. or buy the whole of England for �.99 on DVD Rom. The Solar Eclipse from Ledbury 1999, Including a lightning strike the weekend before! Other Ledbury Sites. If you live in Ledbury or surrounding areas and you have an internet page about or based in Ledbury, home users or businesses, please email me via the form below. All the following links will open in another window.